Let Arizona Accurate Provide you with the most reliable and trustworthy A/C & Solar repair and installation services in the Valley. Since 1982, we’ve offered the best prices and top quality service. We stand behind the work we do. Whether you need a major repair, maintenance or a complete installation, Arizona Accurate is here for you. Call Arizona Accurate now at 602-547-1598. Arizona Accurate will save you money on Air Conditioning , Heating and Solar repair and installation. We are always launching new specials and promotions to make sure our customers get the best price possible all the time. Our certified technicians will take care of any issue you have. Give us a call today to learn more about what specials we are running. If you’re serious about saving money and getting the best work for the best value, contact us now 602-547-1598. 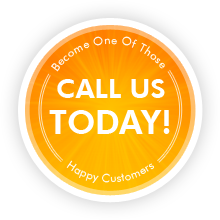 Click here to learn about our solar electric products and services! Click here to learn about our air conditioning and heating products and services! 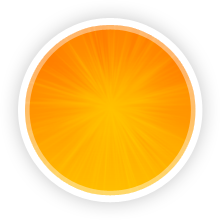 Click here to learn about our solar water heating products and services! 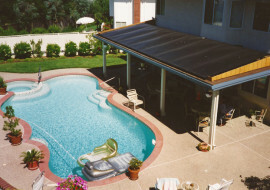 Click here to learn about our solar pool heating products and services! A/C installation is a complex job that requires plenty of expertise. We have decades of experience in Glendale and Phoenix. Choose Arizona Accurate if you are looking for a powerful, efficient unit that will run at its prime for years to come. We only carry the top brands that we know will last through and that we can stand behind. When the summer heats up here in Arizona, you’ll take comfort in knowing your A/C unit has what it takes to keep your home or business comfortable. Call 602-547-1598 today to get the process started! We are fully licensed, bonded and insured. That means you know all the work performed on your A/C & Solar unit is completely backed and protected. Only a licensed contractor like Arizona Accurate can offer the peace of mind that comes with knowing you’re dealing with a trusted and reputable contractor. Save money on any A/C & Solar repair today. Call 602-547-1598. We offer the best solar electrical systems and the most efficient and reliable air conditioners you can buy today! We take pride in the systems we offer and fully support their brands. 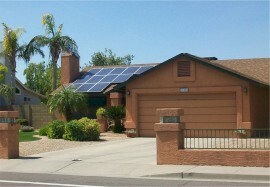 When you start to look for a new solar energy installer in Arizona, look no further than Arizona Accurate! We are the premier Arizona Air Conditioning repair company. Call today for help with all of your A/C repair questions. Over the past 30 years, we have installed solar heated pool, hot water and electric systems - including energy efficient air conditioning units. At Arizona Accurate, we do our best to ensure that our clients have the satisfaction and happiness they deserve. That is what makes us the best Solar & A/C installer among our competition. Need an A/C Tune up? Let us take a look at your entire A/C system to make sure it is ready to handle the Arizona heat. You’ll get a thorough point-by-point inspection of your entire unit. We’ll also give you the best price around. Call 602-547-1598 to schedule your tune up. 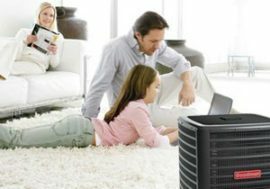 We perform a complete range of Air Conditioning and heating repair services in Glendale, Phoenix and all around the valley. That means Arizona Accurate will work on any major brand of air conditioner no matter what type of problem you are dealing with. We are Also Solar Installation Experts! At Arizona Accurate, we also offer a full range of solar products to save you money with the most advanced technology available. Arizona Accurate only uses the best solar collectors in the business. The best in the business also means the best warranty. Save money and on your installation when you call Arizona Accurate today! Lower your energy bill today! Produce hot water with the help of the sun. 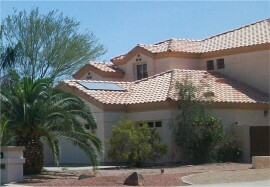 Arizona Accurate only installs the most reliable solar water heating systems. Get a great price on your installation today. We are experts in the field, Installing Solar Hot Water systems since 1986. Why would you only like to swim comfortably three to four months out of the year? Here at Arizona Accurate we can extend your swimming season with our Solar Pool Systems. Ask About Our Rebates and Discounts! You might be eligible for special discounts and rebates on our entire selection of products and services. Call 602-547-1598 to find out how much money Arizona Accurate can save you on Air Conditioning and Solar services or installations today. Arizona Accurate will come to you, we have worked all over the valley for 30+ years. Glendale, Phoenix, Scottsdale and even east Mesa.